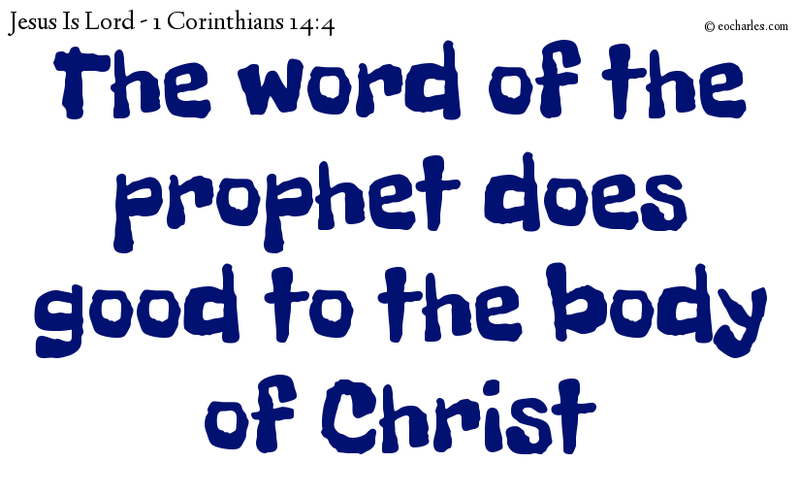 He who makes use of tongues may do good to himself; but he who gives the prophet’s word does good to the church. Previous Previous post: Kingdom parables: sower, candle, seed, storm. Next Next post: Take heart, be strong, the Lord will do as he pleases.